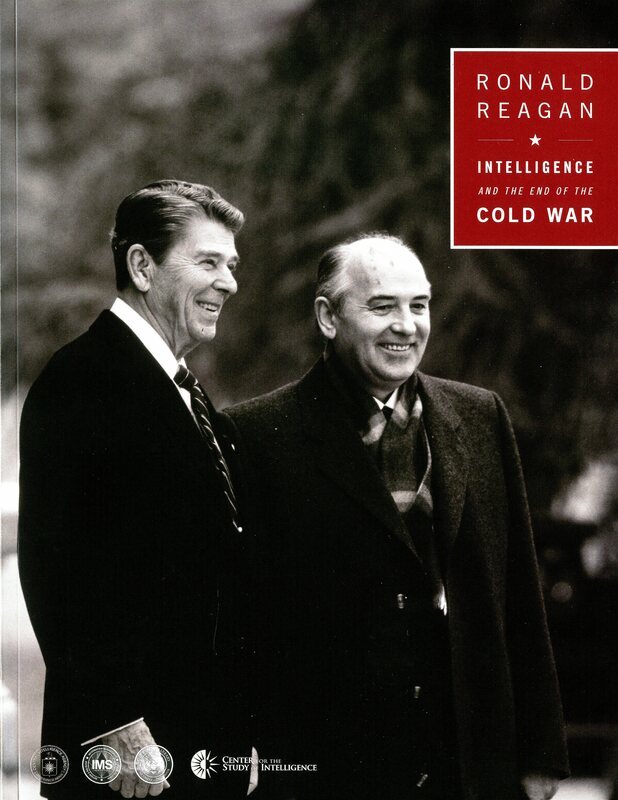 Ronald Reagan, Intelligence and the End of the Cold War is a multimedia book and DVD recently published in November 2011 by the Ronald Reagan Presidential Library and the Historical Collections at the Central Intelligence Agency. It shares declassified documents from latter years of the Cold War with a focus on relations between General Secretary of the Soviet Union Mikhail Gorbachev and the Reagan administration. 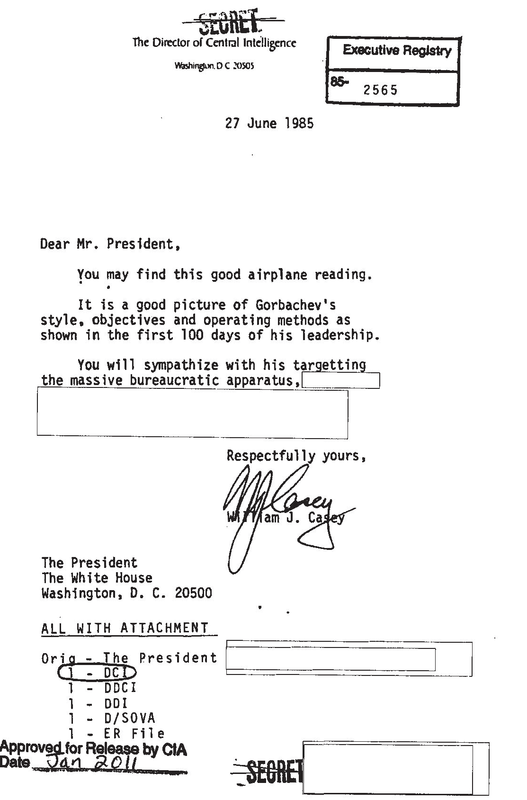 Declassified documents are the primary focus of the book, but there is also an introduction and brief overview on intelligence, including President Reagan’s experience with the intelligence community prior to his presidency and his approach to intelligence as president; the role the intelligence community played in monitoring and anticipating the collapse of the Soviet Union; and expectations the public should have of the intelligence community. Ronald Reagan, Intelligence and the End of the Cold War poses the question, “Should the U.S. intelligence community have done a better job foreseeing the collapse of the Soviet Union?” It does not answer the question for you, rather puts the subject of intelligence in context and provides declassified documents so readers can decide for themselves. The book itself only contains a handful of declassified documents, but it comes with a DVD where readers have access to more than 200 declassified documents as well as photos from President Reagan’s administration, videos of press conferences and summits between the U.S. and Soviet Union, and an interactive timeline of the Cold War during the Reagan administration. The content of the book is also available on the DVD. Highlights of the collection include video briefings for the Reagan Administration produced by the CIA’s Directorate of Intelligence on such topics as the Soviet space program, the Andropov succession, the Chernobyl disaster, and the Soviet media portrait of America. These briefings represent the first time the Agency used videos on a regular basis to deliver intelligence to policymakers. The entire collection marks the first substantial release of such historical material. The amount of available declassified documents is a bit overwhelming. The content falls across a wide range of topics with a substantial focus on nuclear weapons and disarmament, but what is more interesting are the analyses of the Soviet Union’s politics and leaders, economy, society, labor force, relationship with satellite countries, energy policy, and foreign policy. One example is a memo on civil unrest in the Soviet Union that analyzes the number of instances of strikes, demonstrations, and riots, where they occurred, and the cause – each individual instance is thoroughly recorded. Another is on the volatile leadership situation in the USSR. 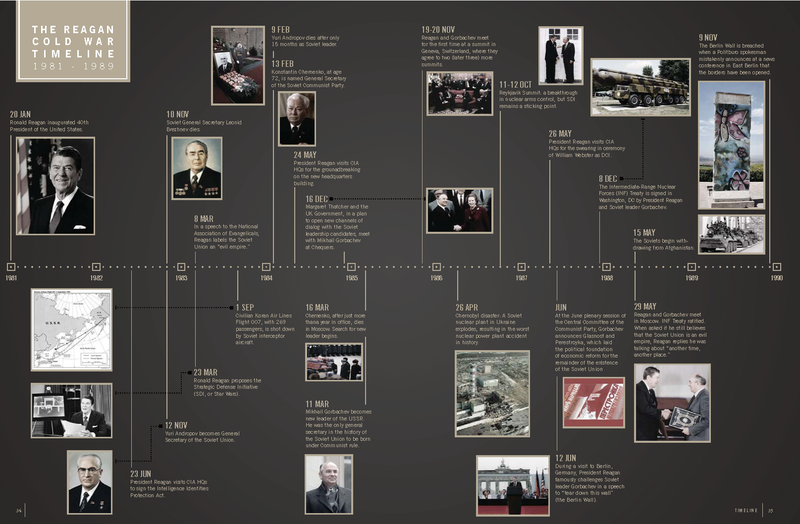 A particularly popular topic among the documents is Mikhail Gorbachev, both the man and the leader. Many documents focus on Gorbachev’s personality, goals and strategy of implanting his goals, the way he is perceived by citizens and other communist leaders, and his impact on the Soviet Union. It is clear from the documents that Gorbachev was viewed by the Reagan administration as a capable leader, who understood the problems the Soviet Union was facing, and had the potential to turn the Soviet Union around. 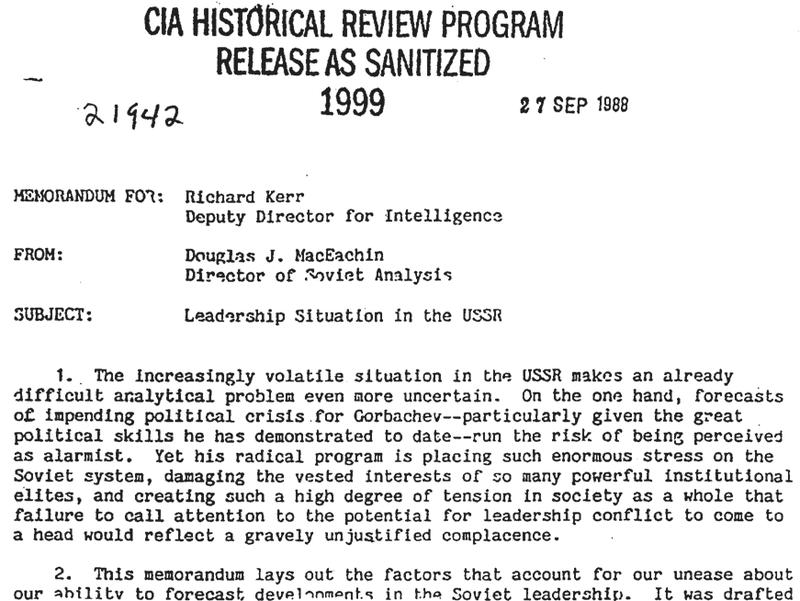 This sentiment is reflected in the declassified documents– they provide a wealth of information that is deeply analytical, but they do not spell out the best plans or policies for dealing with the Soviet Union or determine when it will cease to exist. HOW DO I OBTAIN THIS “Ronald Reagan, Intelligence and the End of the Cold War”? A great publication not only provides timely and valuable information, but it also allows us a glimpse into the times and events that necessitated its production. Such is the case with the CIA’s World Factbook—which marks its 50th anniversary in 2012 for the classified version and over 40 years for the public version described here— and shows us a glimpse into how Pearl Harbor and the Cold War changed the way America began to gather information about all corners of the globe. During World War II, intelligence consumers realized that the production of basic intelligence by different components of the US Government resulted in a great duplication of effort and conflicting information. Detailed and coordinated information was needed not only on such major powers as Germany and Japan, but also on places of little previous interest. 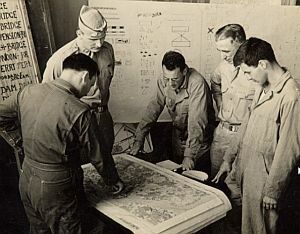 In the Pacific Theater, for example, the Navy and Marines had to launch amphibious operations against many islands about which information was unconfirmed or nonexistent. To correct this deficiency, in 1943, General George B. Strong (G-2), Admiral H. C. Train (Office of Naval Intelligence – known as ONI), and General William J. Donovan (Director of the Office of Strategic Services – known as OSS, the precursor of the CIA) oversaw the formation of a Joint Intelligence Study Publishing Board to assemble, edit, coordinate, and publish the Joint Army Navy Intelligence Studies (JANIS). JANIS was the first cross-departmental basic intelligence program to fulfill the needs of the US Government for an authoritative and coordinated appraisal of strategic basic intelligence. 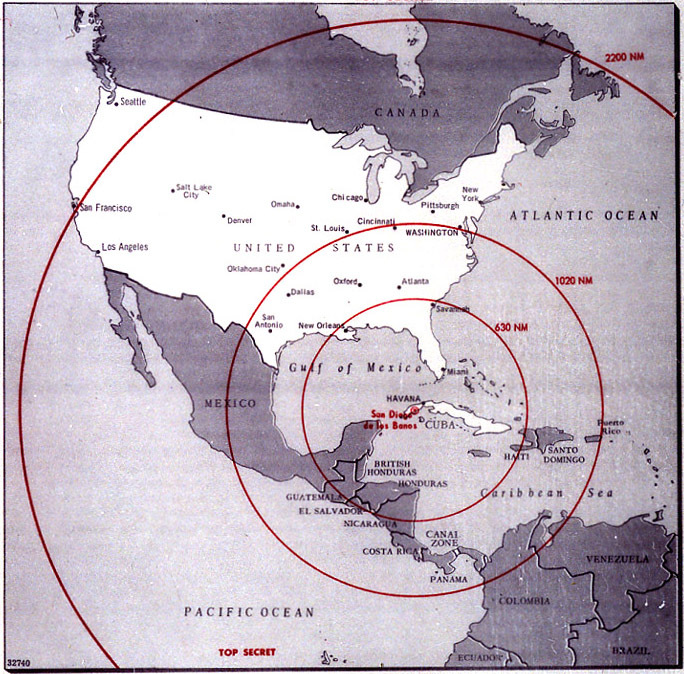 All groups involved in the war agreed that finished basic intelligence was required that covered territories around the world where the war was being fought. They needed detailed, up-to-date maps and geography; basic understanding of the cultural, economical, political and historical issues of the people and the region. Compiling and publishing this information for the Allied intelligence needs, JANIS became an indispensable reference for war planning and execution. Originally published only as a classified publication starting a half century ago in August 1962 (just prior to the Cuban Missile Crisis of October 1962), the World Factbook was first published in its declassified version for public consumption in June 1971, 40 years ago. Today’s World Factbook is the declassified version of the finished basic intelligence compiled by the U.S. Central Intelligence Agency (CIA) and coordinated across all the U.S. intelligence community. It uses only recognized, authoritative sources, not only CIA-gathered intelligence, but also a wide variety of U.S. Government agencies from the National Security Agency, Department of Defense, Department of State, Department of Agriculture, Defense Intelligence Agency, and hundreds of other published sources around the world. Once a year, the Government Printing Office takes a snapshot of this information from the CIA as of January 1 and produces a printed version of the World Factbook. It provides unparalleled and succinct information about hundreds of countries in a format that provides an easy-to-use comparison.The Factbook has been available from GPO since 1975. 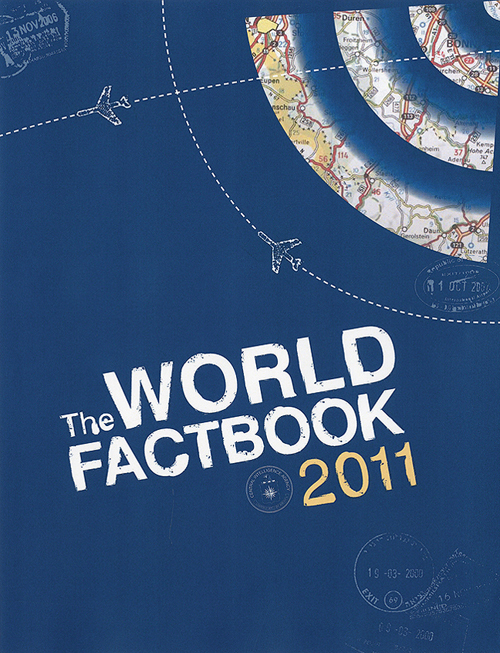 The 2011 version just published provides a two- to three-page summary of the history, people, government, economy, geography, communications, transportation, military, and transnational issues for 267 world entities, including U.S.-recognized countries, dependencies, and other areas in the world. Each country has its own basic map and shows its flag, but of particular interest are the maps of the major world regions, as well three pull-out maps included in the publication: Physical Map of the World, Political Map of the World, and Standard Time Zones of the World Map, all of which can be used as wall maps. Who Can Benefit from the World Factbook? A perennial best seller in the GPO bookstore, The World Factbook is used by not only US Government officials, but is a must-have reference for researchers, news organizations, businesses, geographers, international travelers, teachers, professors, librarians, and students. In short, after 40 years, the World Factbook is still the best source of up-to-date, summarized intelligence about the world for any “thinker, traveler, soldier, or spy” of any age! How can you get this publication? Buy the current version of the World Factbook and selected previous editions online 24/7 at GPO’s Online Bookstore. Question: What separates “intelligence” from “information”? Answer: According to the CIA: The Intelligence Cycle is the process by which information is acquired, converted into intelligence, and made available to policymakers. Information is raw data from any source, data that may be fragmentary, contradictory, unreliable, ambiguous, deceptive, or wrong. Intelligence is information that has been collected, integrated, evaluated, analyzed, and interpreted. Finished intelligence is the final product of the Intelligence Cycle ready to be delivered to the policymaker. The three types of finished intelligence are: basic, current, and estimative. Basic intelligence provides the fundamental and factual reference material on a country or issue. Answer: When American and British spellings of common English words differ, The World Factbook always uses the American spelling, even when these common words form part of a proper name in British English. Answer: A doubly landlocked country is one that is separated from an ocean or an ocean-accessible sea by two intervening countries. Uzbekistan and Liechtenstein are the only countries that fit this definition. Answer: US Federal agencies are required by the Metric Conversion Act of 1975 (Public Law 94-168) and by Executive Order 12770 of July 1991 to use the International System of Units, commonly referred to as the metric system or SI. In addition, the metric system is used by over 95 percent of the world’s population. Answer: The European Union (EU) is not a country, but it has taken on many nation-like attributes and these may be expanded in the future. A more complete explanation on the inclusion of the EU into the Factbook can be found in the Preliminary statement. About the Author: Michele Bartram is Promotions Manager for GPO’s Publication and Information Sales Division and is responsible for online and offline marketing of the US Government Online Bookstore (Bookstore.gpo.gov) and promoting Federal government content to the public. She’s a big fan of the National Spy Museum and of spy movies, which she is going to enjoy for her birthday tomorrow. You are currently browsing the archives for the Central Intelligence Agency (CIA) category.